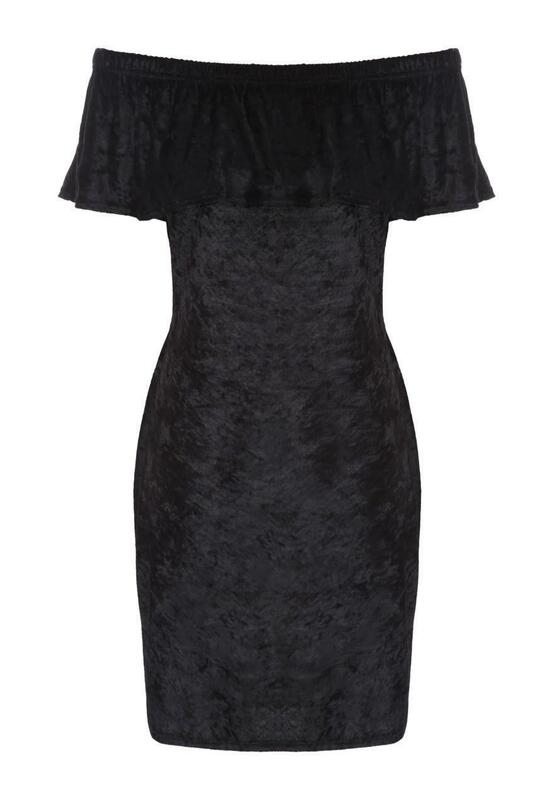 An on trend off the shoulder style gives this lace dress a flirty and fun shape. 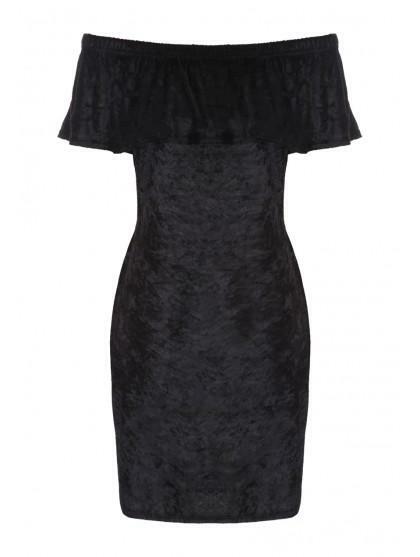 From our ENVY range, it features a sultry silhouette, Bardot neckline, and a soft velvet overlay, and this flattering dress is perfect for the party season when teamed up with a pair of strapped heels. I ordered a size larger than usual as a similar dress I bought last year is a bit small now. The dress fits well and looks great. My only criticism is that it tends to ride up when I wear it over leggings. As I got it in the sale it was very good value and I will wear it a lot. Nice quality material. Good fit.